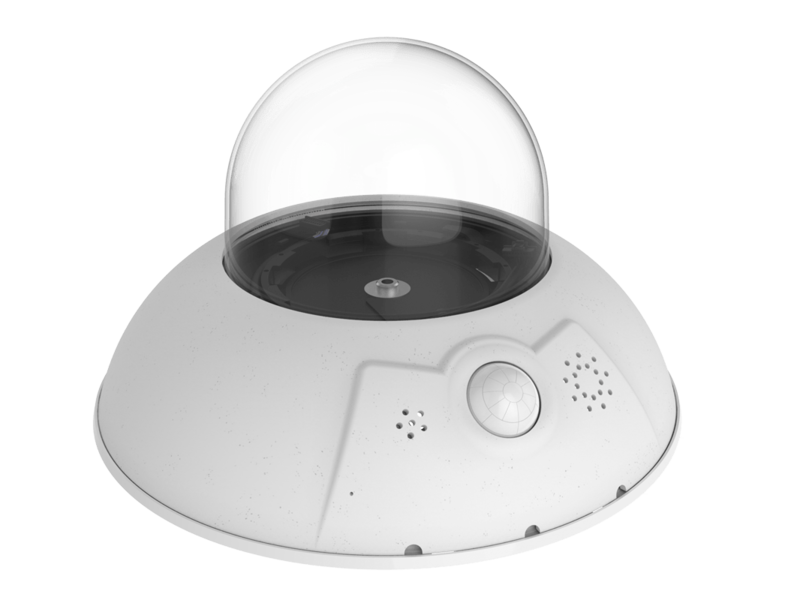 The Mobotix D16 Dual lens camera is a fully weatherproof, robust successor of the D15 series, the main upgrades within this upgrade include ONVIF Profile S support, H.264 Hardware Codec and RTSP Streaming. The camera boasts interchangeable sensor modules as well as the latest Mobotix system technology. The AllroundDual body module comes with VarioFlex mount, connection cables for sensor modules and network, and the front element. All sensor modules, which need to be ordered separately, are pre-focused at the factory and can be supplied in any desired combination of day or night sensors with lens choices from telephoto to wide angle. The modular system, which provides maximum flexibility when configuring the camera, is also easily reconfigured or repaired by replacing a sensor module. One important feature that determines the quality of a security camera is its light sensitivity. A highly light-sensitive camera supports short exposure times, thus resulting in reduced motion blurring. This makes it easier to evaluate security-relevant footage, making details visible without the need for additional, expensive illumination. In addition to MxLEO software for image improvement in very low lighting conditions, the current MOBOTIX models have a hardware-based noise filter directly at the image sensor. It reduces image noise and delivers sharper images. Depending on the specific requirements, it is possible to select whether the automatic exposure function extends the calculated exposure time, for example, in order to create high-contrast night recordings for web images, or shortens the exposure time in order to display fast movements in crystal clear quality. The greatly increased light sensitivity of the new sensor technology is further enhanced by the HD Premium lensesalso built into the 5-megapixel cameras. These new HD Premium lenses with an f/1.8 aperture are offered in six different focal lengths. This technology, in connection with the new 6-megapixel sensor modules (1/1.8” CMOS), delivers horizontal image angles between 15° and 105° for an image format of 4:3.